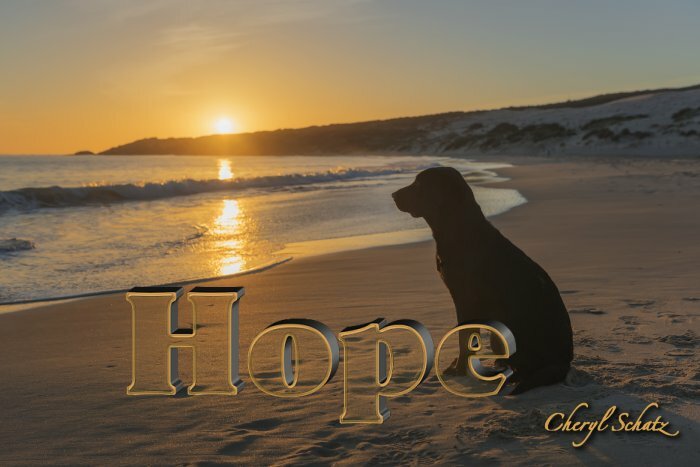 Did you know that there is always hope? We are people of hope as we live in Jesus Christ. This has become much more real to me as I received the news of my condition from my doctor. My bone scan was excellent as the spot that had shown up is now less intense and this has been good news. But there is also not so good news that lurks around the corner. My doctor has told me that the reason the spot is showing up improved is because of the estrogen inhibitor that I was prescribed. If the spot was from aging, it wouldn’t be better. The bottom line–I have stage 4 cancer although I am stable right now. What does this mean? My doctor says that he expects I will live for many years. I could be stable for years and years, but metastatic cancer has no cure. It can be controlled but not cured. Eventually it will kill me unless I have some kind of miracle from God. Women with my diagnosis can live 5-10 years but most do not live more than 10 years although there are always new cancer drugs and trials that may change things. I am so excited to have life! Last year I did not know if I would live to see the summer of 2014. The fact that I am still alive after having a highly aggressive cancer spread so quickly is a miracle. The harsh chemotherapy sessions and surgery are behind me. I will probably have to have chemo again at some point in time, but it will be much less aggressive and focused more on quality of life rather than a cure. I am so happy that the anti-estrogen pills are doing a great job on the spot on my spine and that I have no pain. These are awesome things that cannot be taken for granted. I am blessed! I am joyful that I have been given some time to be reflective, productive, and stable. I am also joyful that, God-willing, I have years ahead of me, not days, weeks or months. There is always hope for life when God is the Lord of one’s life. Where I live or whether I die, I belong to Jesus…and I am joyful. Thanks Adeline, and yes you do understand going through the same kind of battle. At times God doesn’t seem fair because He doesn’t do the same things for everyone. But then God has blessed me in ways that He has not blessed others. God’s ways are not always understandable, but He is over all, and always good. And…All things, not just some things…work together for good to them that love God, to them that are called for His purpose. That promise cannot be undone. It is solid truth be ause God cannot lie. Wow! I do not know what to say. That is heavy news indeed. I am most ecstatic that you have time ahead of you and have made it this far. God has been alongside you every step of the way. He only requires our trust and that is what we will continue to do. Trust and pray. We do know the great physician and can call Him Friend. He hears our cries, our longings and desires. He made our bodies and knows how each cell works and can heal us fully and give us life. He has already promised life that is everlasting to those who believe in him and have placed their trust in Him. Jesus is the vine and we are the branches. Abide in Him and He in us. For apart from Him we can do nothing. I can see you abiding in Him and gaining your strength from the One who made and loves you. Continue to persevere. As a family we cherish each day that we have together with you. Thank you for your kind comments. Your words have wisdom and I will continue to ponder on them. Family is precious any time but especially at this time. Very precious.